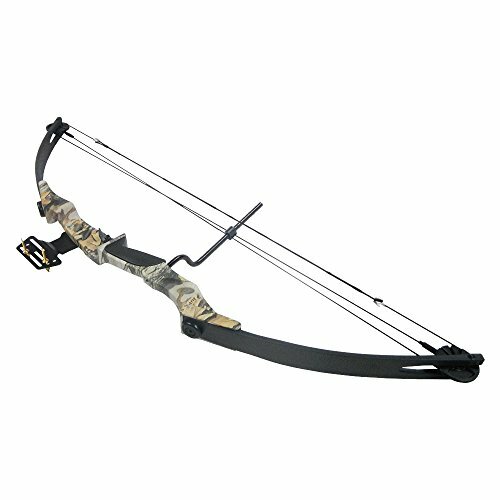 This compound hunting bow by iGlow is light at 4 lbs., and has a draw weight of 40 to 55 lbs. The arrow speed is at 220 feet per second, and can easily hit with accuracy with intensity. The draw length is at 27” to 29” and the length of the draw is at a total of 41.5”. Let-off is at 70 percent. The bow’s structure is made of aluminum and polished for smooth handling. 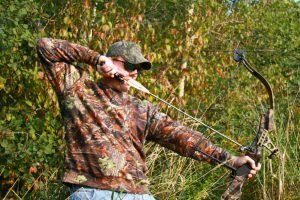 The material of the bow is weather resistant, and will not corrode in the woods or if taken outdoors. 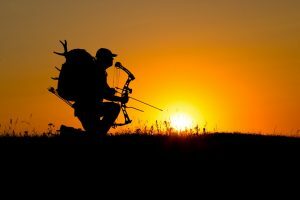 The iGlow Compound Hunting Bow can also be used for sporting events because of the speed and power of the arrow. The cams are well built and create just the right tension to accumulate the intensity needed to deliver good shots, even at far distances. 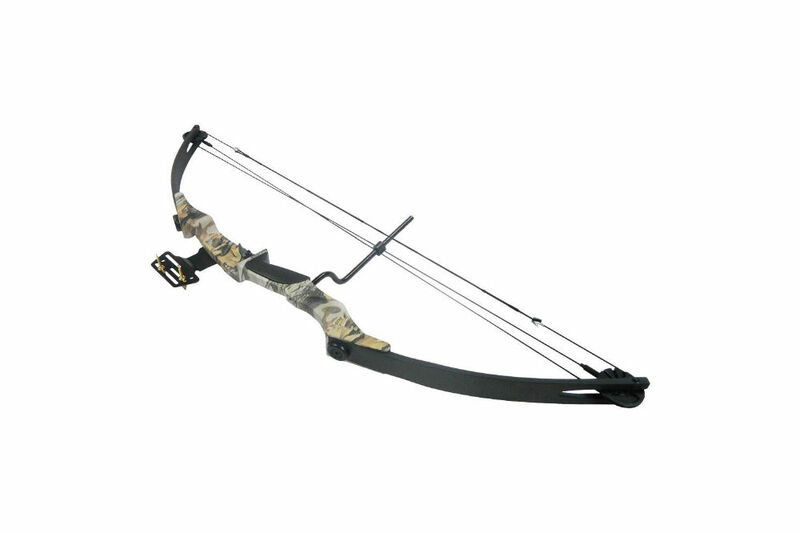 The bow works best with 30” arrows made of fiberglass, aluminum or carbon. Draw length is at 40 to 55 lbs. Bow weight is 4 lbs. This is a product that is efficient in delivering powerful shots and speed to the arrow. Power is maintained even at far reaches. 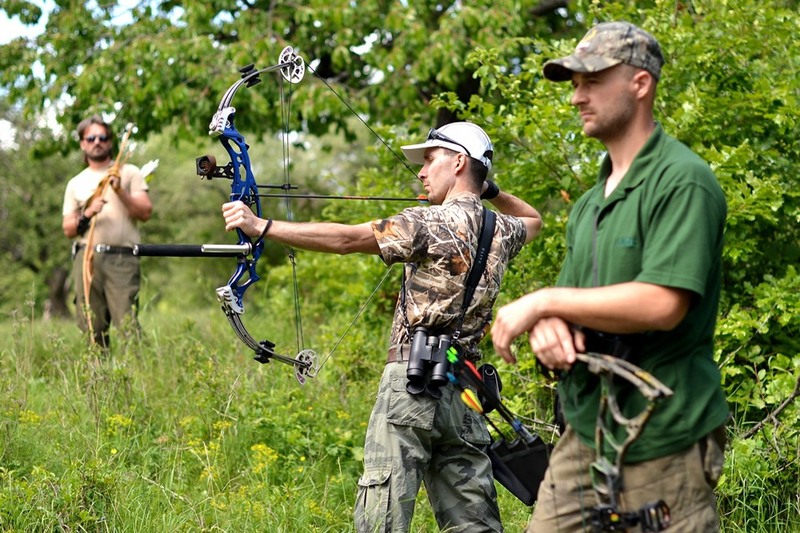 The product is an efficient and entertaining tool for hunting or for archery events. The draw weight is 40 to 55 lbs. with a length of 41.5”. The string is long and can be adjusted to create a larger amount of pressure to the arrow. 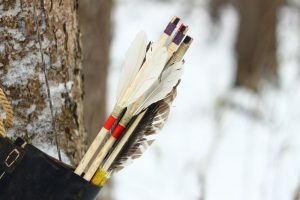 The cam is effective in transferring energy to the arrow and drives the arrow fast and full of force on every release. It is useful for hunting deer and buck and penetration is deep at 206’ per second. The bow is light at 4 lbs. The grip is protected with slide-free foam to ensure the safe and comfortable hold of the product. 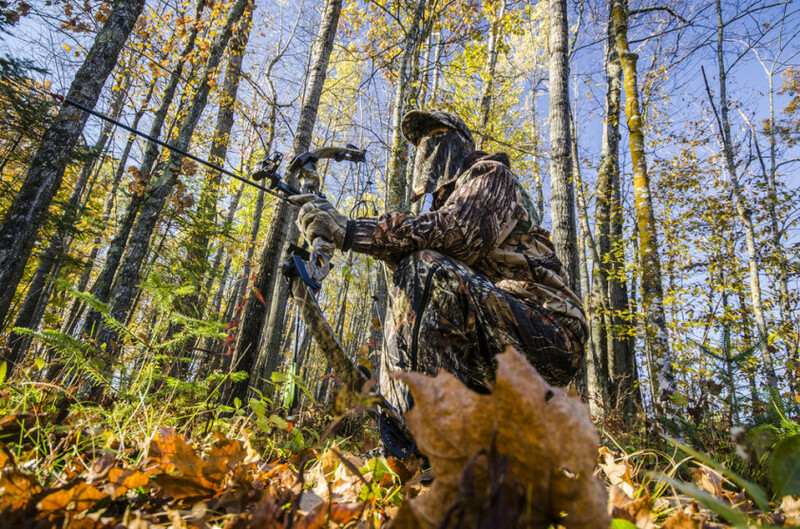 The bow has a durable and rust-resistant coating and a camouflage pattern to make it less visible in the forest when hunting. The bow delivers even at far distances, and creates intense strikes as far as 60 feet. The structure of the bow is good and stable. The product will not bend or easily break because of its all-aluminum composition. The target is hit with accuracy and hits are executed smoothly. The cams can tolerate a great amount of tension and a high degree of friction. The string holds well and will not require locks to keep the string within the axles. The bow is good for beginners and the design is similar to the classic bows, but are made with a compound design. The mechanism is simple and a new archer will not have a hard time using the bow. The tight grip will help the user to adjust and execute with good posture, and positioning is stable. Young users can also use the product to learn the skills of hunting because of the straightforward and non-complex design. The bow is for right-handed users. The bow is gripped by the left hand and the arrow and string are pulled with the right. 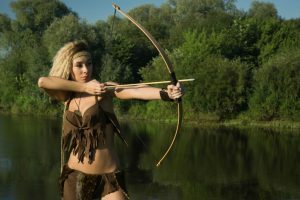 The bow string should be pulled near the ear. The bow does not come with instructions to help the user with how to tighten or increase the poundage of the string. The adjustment of the axles is difficult. Because there are no instructions provided, users will have to go to a sporting goods shop for adjustments, especially if it is going to be used by beginners. The bow is also difficult to draw at times and causes strain to the user. The accessories of the product are not readily available. The bow is also hard to assemble and some screws are not compatible. The classic design of the product can make it difficult to use compared to bows with a modern design. The axles are small and can create difficulty when drawing the arrow. This is a bow with a classic and durable design. 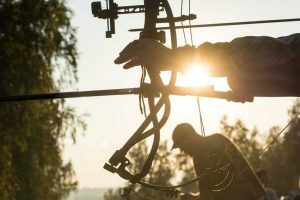 The shots are sure to bring intensity and power when the arrow is released because the string is long and can be adjusted to increase the draw weight. 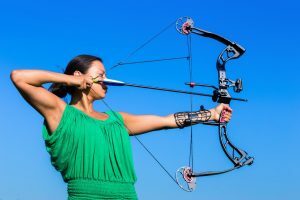 The bow can be used by beginners, but they will have a hard time because the structure of the product creates strain and increased weight to the arms. The product is well-made and will not easily break. The iGlow Compound Hunting Bow is hard to assemble because it doesn’t come with instructions for assembly. It may be a difficult to draw and beginners will be strained when using it.